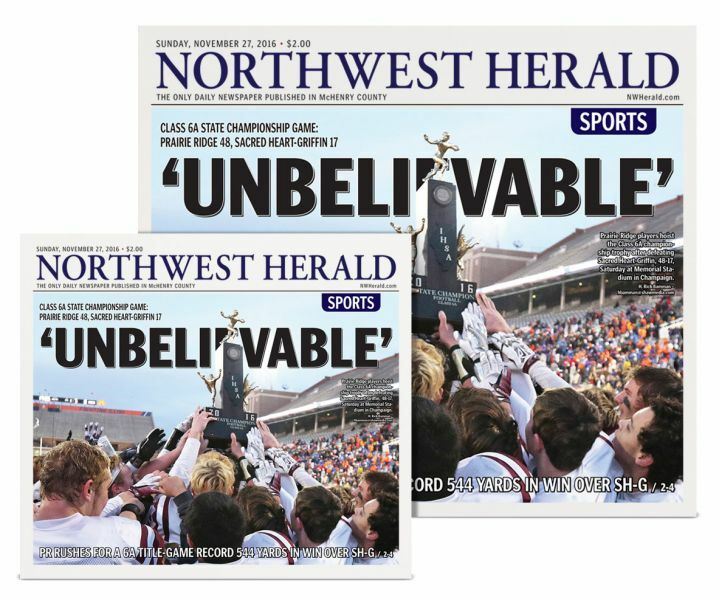 This high quality, custom printed canvas is a reprint of the Northwest Herald's front Sports page from November 27, 2016 which captures the details of the Prairie Ridge Wolves State Championship win. This Canvas is available in two sizes. The price for the large canvas is $80, $48 for the small. It makes a great gift for the PR fans in your family! Once your order has been processed you will be contacted for item pick-up at the Northwest Herald office located at 7717 S Rte. 31 in Crystal Lake.